I decided to make whoopie pies for the first time a couple of days ago and thought I would share my experience with you. 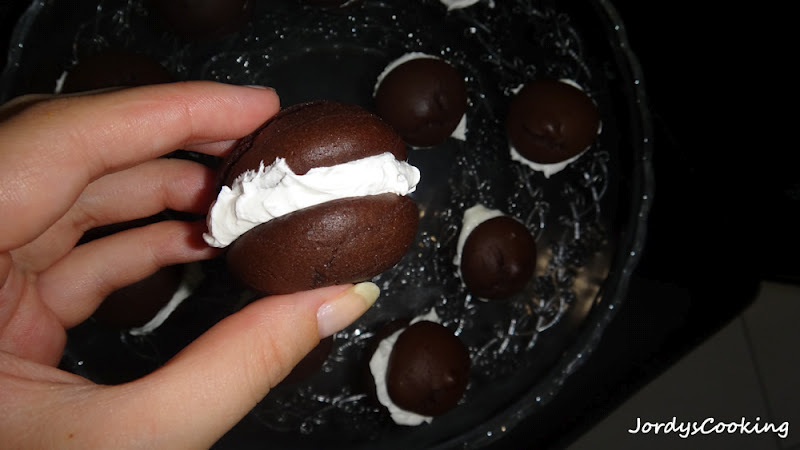 They are almost like the new macaroon, two halves joined together with a cream. 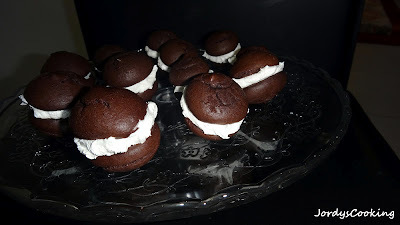 So if you know how much I love macaroons then you will have some idea of how eager I was to try out these and I think it's safe to say that these are amazingly delicious and I could argue they come close to the quality of macaroons. 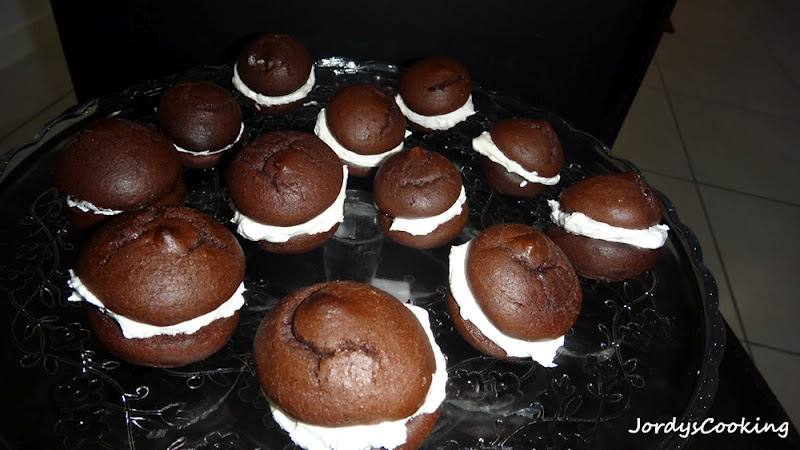 The generally accepted legend of whoopie pies is that they evolved from little individual cakes mothers would make their children from leftover chocolate cake batter and frosting—the "whoopie" is said to be the kids' happy shout. Step 1: Whisk together flour, cocoa, baking soda, and salt in a bowl until combined. Stir together buttermilk and vanilla in a small bowl. 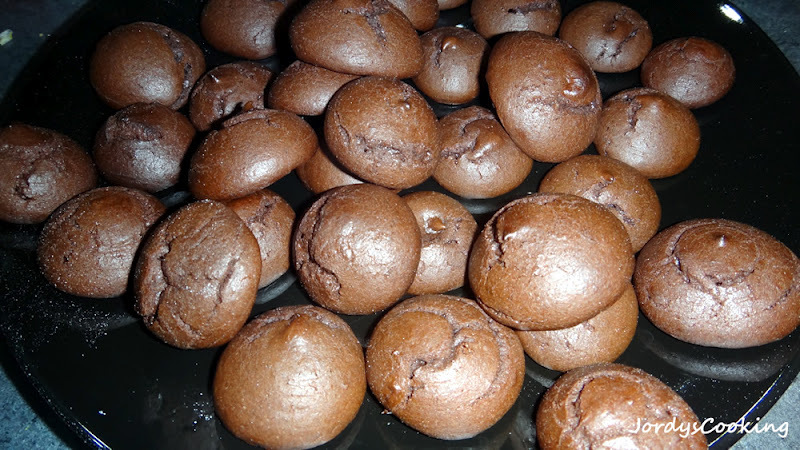 Step 2: Beat together butter and brown sugar in a large bowl with an electric mixer at medium-high speed until pale and fluffy, about 3 minutes in a standing mixer or 5 minutes with a handheld, then add egg, beating until combined well. Reduce speed to low and alternately mix in flour mixture and buttermilk in batches, beginning and ending with flour, scraping down side of bowl occasionally, and mixing until smooth. 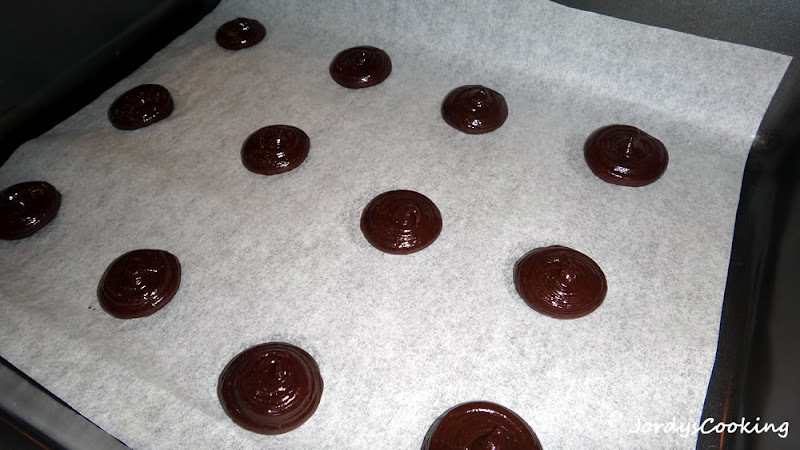 Step 3: Spoon 1/4-cup mounds of batter about 2 inches apart onto 2 buttered large baking sheets. 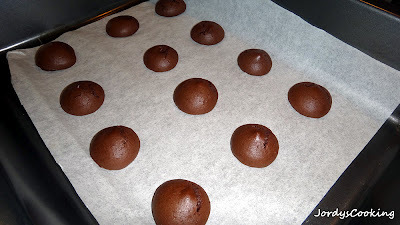 Bake in upper and lower thirds of oven, switching position of sheets halfway through baking, until tops are puffed and cakes spring back when touched, 11 to 13 minutes. Transfer with a metal spatula to a rack to cool completely. 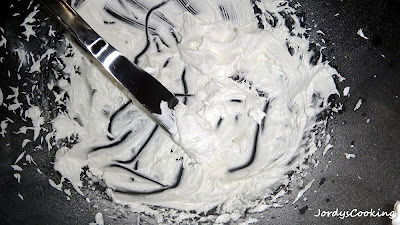 Step 4: Beat together butter, confectioners sugar, marshmallow, and vanilla in a bowl with electric mixer at medium speed until smooth, about 3 minutes. Step 5: Assemble the Whoopie Pies. Spread a rounded tablespoon filling on flat sides of half of cakes and top with remaining cakes. 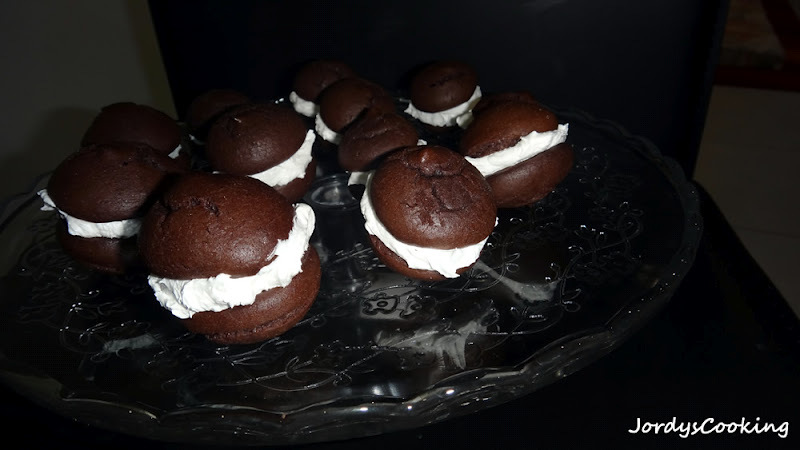 It was a great first experience trying out whoopie pies and considering how delicious they are, I will definitely be making them again in the future!